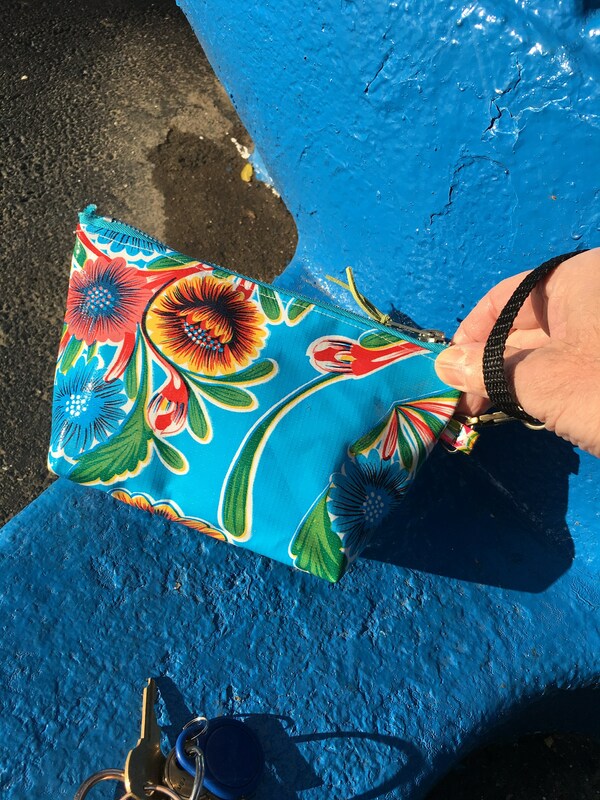 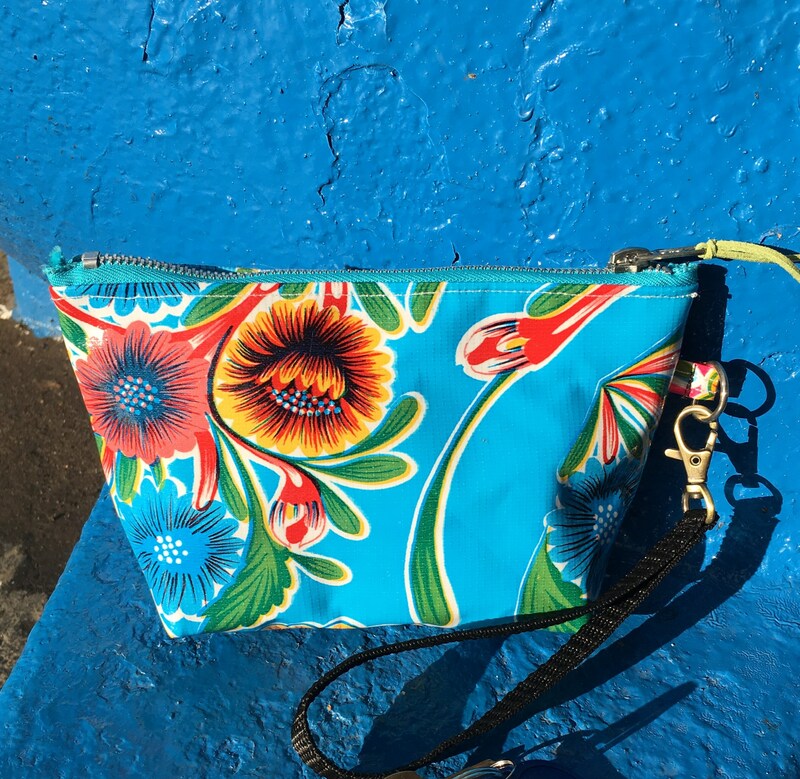 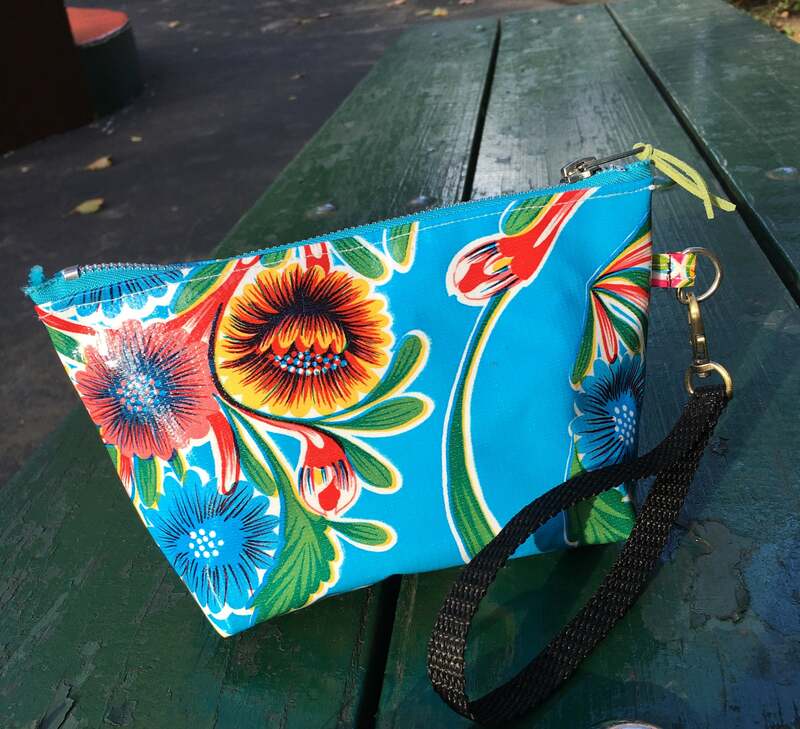 Our blue floral wristlet bag is made from a gorgeous Mexican oil cloth and lined with a lightweight water repellent canvas. 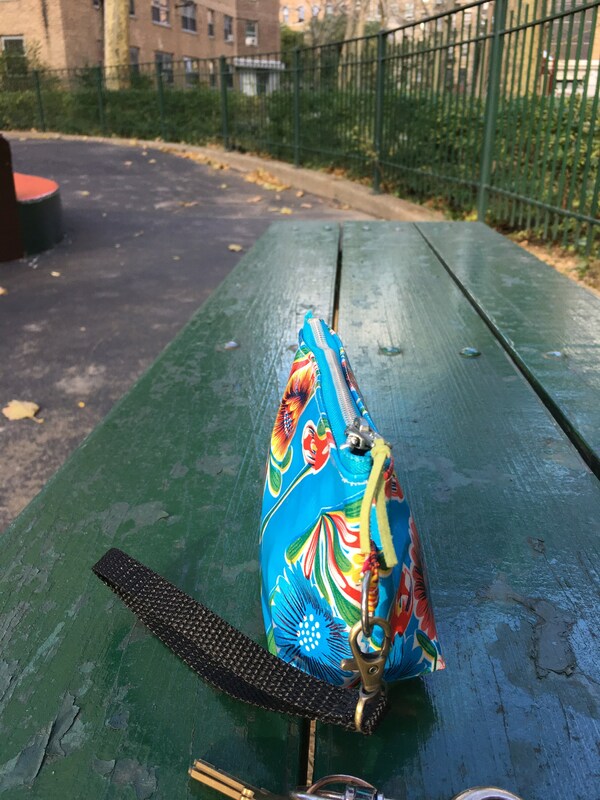 This bag comes with a detachable black webbing strap. 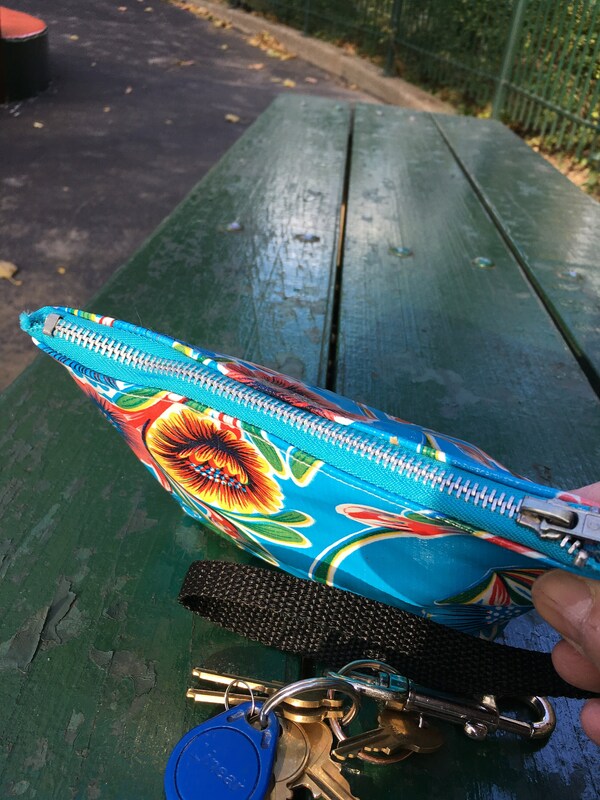 This is a great size for going out, the beach, and also works perfectly as an additional case for a larger bag.